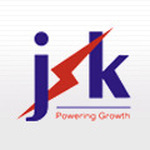 Follow Jsk Industries Pvt. Ltd.
About Jsk Industries Pvt. Ltd. Known for manufacturing, supplying and exporting a wide range of optimum quality Electric Wires and Lights, Jsk Industries Pvt. Ltd., an ISO 9001:2008 certified company established in the year 2005. The product offered by us is inclusive of Aluminum Wire, Aluminum Wire Coil and Aluminum Wire Rod. Offered by us, these electrical wires and lights are manufactured from quality assured light emitting diode that are sourced from authenticated vendors of the industry. By using advanced machinery and equipment, our technicians and engineers manufacture the offered range in compliance with the set industry norms and regulations. Used in various power distribution and transmission, the offered electric wires are known for their robust design, durability and optimum thermal & electrical conductivity. Suzlon Energy Ltd., Uttar Gujarat Vij Co. Ltd. (UGVCL), Torrent Power Ltd., Bharat Heavy Electricals Ltd. (BHEL), Maharashtra State Electricity Transmission Co. Ltd. (MSETCL) and Cable Corp. of India Ltd. are some of our valuable customers associated with since the inception of our company. Quality being our priority is maintained at all the times through various quality assurance checks conducted by our team of quality inspectors. Our team is comprises of skilled labor, production manager, quality controllers, warehousing professionals and sales & marketing executives. By utilizing the skills and experience of our team of professionals, we have been able to manage the precise needs of our valuable customers in the most efficient manner. Hold expertise in their area of operation, our employees are provided with regular training sessions to enhance their technical and professional skills.